Holley is referring to Paul Huet, the chief executive officer of Klondex Mines, a Canadian firm that in late 2016 purchased an existing gold-mining operation within a Western Shoshone cultural landscape called Tosawihi (pronounced DOS-a-wee). Acquired as part of the mining deal, the portion that Klondex will hand over to the Battle Mountain Band on August 18 is a spiritual hub within the ancient place. Though 83 percent of Nevada is owned by the federal government, the Klondex purchase and handover of this relatively unusual privately owned tract will allow it to remain in the hands of those who value it most. The Battle Mountain Band will hold and administer the lands on behalf of all Shoshones, according to Holley. 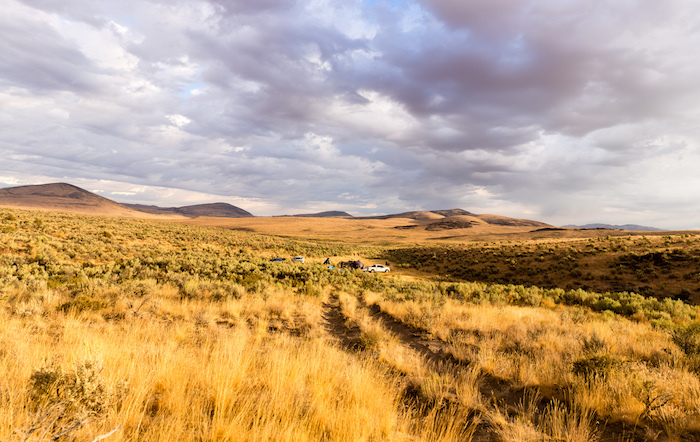 The entire Tosawihi landscape encompasses tens of thousands of acres of grass- and sagebrush-covered hills in northern Nevada. Archaeologists have dated artifacts indicating an occupation of the area that is at least 14,000 years old. To put that in another context, it makes Ancient Rome, founded less than 3,000 years ago, a relative stripling. Or maybe Western Shoshones arrived in Tosawihi in a deeper past, before time began. Basketmaker and educator Leah Brady, of the Elko Band of Te-Moak Western Shoshones, says Coyote was given a lidded basket as a gift and warned not to look inside. Insatiably curious about the singing and dancing that seemed to be going on within the vessel, the quintessential trickster lifted the lid, and the people who today are called Western Shoshone ran out and populated their new home. Huet’s plans for his company’s tenure in Tosawihi encompass more than the gift of the land. At the mine, which is several dozen miles from the tract to be transferred, Klondex employees are coordinating with tribal cultural experts so they can work around the area’s many artifacts and sacred places—medicine-plant gathering areas, vision-quest sites, healing springs, ancient rock shelters, rock hunting blinds where hunters would hide and wait for prey, prehistoric campsites, and more. Holley says Klondex’s approach to working the site and dealing with the local community shows a “night and day” difference from that of previous mining companies. As Rural America In These Times has reported, the company that immediately preceded Klondex, Carlin Resources, aggressively dismissed tribal concerns. The company allowed employees to stand around, snickering, when elders came to the area to pray and hold ceremonies. In early 2016, it wiped out 12 miles of an ancient doctor’s healing trail, along with the medicinal plants he cultivated alongside it. This was done to make way for a power line that Holley says could have been installed far less destructively. It could have even been buried, he says. In addition to the active mining operation now owned by Klondex, abandoned mines dot the Tosawihi landscape and beyond that, the United States as a whole. Because the 1872 Mining Act made it cheap and easy to stake out claims around the country but did not require cleanup, owners can—and did—walk away when their mines were worked out. Corroded equipment and unsecured pits nationwide pose hazards to passing humans and animals, while discarded dynamite makes rescue and reclamation difficult. Poisonous chemicals evaporate into the atmosphere and leach into land and water. Earthworks, a mining-focused environmental group, estimates that the public will pay as much as $72 billion to clean up old mines across the country; cleaning up today’s operations will cost additional billions. The bulk of Tosawihi is not on a reservation, where a tribe could protect it. Instead, it sits on federally owned land overseen by the Bureau of Land Management (BLM), which has approved numerous injurious projects. This is despite archaeological studies commissioned by the BLM itself that show that Tosawihi is eligible for the National Register of Historic Places. Meanwhile, the government-funded studies of the late 1980s and early 1990s created their own problems. They were done under federal historic-preservation law in order to prepare for the expansion of mining in the area. In establishing that the area was, in fact, historically important, archaeologists removed 342 boxes of precious artifacts that were purportedly in the path of mining-related destruction—many arrow and spear points, including a 12,000-year-old Clovis-era point, hide scrapers, awls, elk- and buffalo-bone digging tools and much more—and stored them in a distant museum. This was intended to save them. In the end, some areas that were slated for obliteration escaped that fate. The BLM has defended its handling of Tosawihi, telling Rural America In These Times in September 2015 that its methods of issuing permits for mining there have been “robust” and “not hurried,” with full consideration for tribal concerns under the law. The extractive operation Klondex purchased includes two contiguous open pits. Huet has directed that reclamation begin on one of them and that new mining take place underground, where it can cause less damage to the surface, with its many artifacts and sacred sites. This is the second time around in Tosawihi for Huet. He was the general manager of another mining company that extracted gold in the area until about eight years ago. As part of Huet’s duties back then, he hosted mine tours for visitors, including area tribal members. For Huet, the events were as much about listening as lecturing. 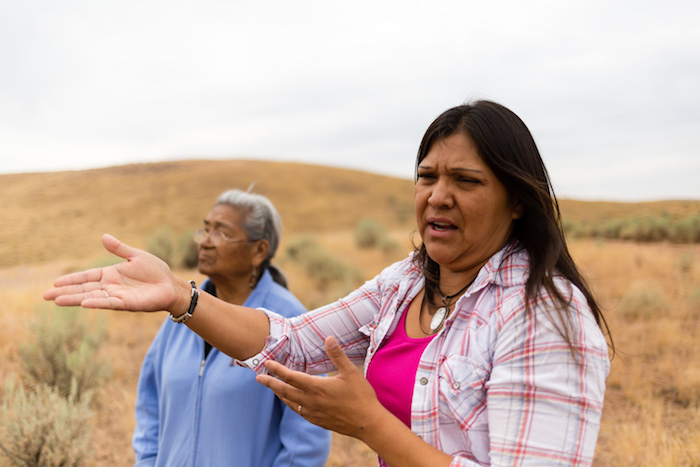 During the tours, Huet kept hearing from Western Shoshone elders about a very special corner of Tosawihi that was central to their culture, yet threatened by possible mining expansion and other development. “After listening to the elders talk about the sacredness of the place, I drove out to look at it,” Huet recalls. “It was amazing. I had no idea that such a beautiful spot, with a rushing creek and trees, was tucked away in Nevada. I had never seen anything like it in the state.” He decided he had to get it back into tribal hands. To his surprise and delight, he succeeded. He got the money and bought the land. His career soon took him in other directions, and he left the company, thinking the land transfer was a done deal. It wasn’t. The company lost the mine in a bankruptcy proceeding, along with the extra land, and the dream was put on hold. Though most of the Klondex gift will remain just as the Western Shoshone ancestors left it, a campground is planned for one small portion. About a dozen cabins with bunk beds and woodstoves will facilitate visits by community and school groups. Precision hand techniques are among the methods Klondex’s miners will use in Tosawihi in order to cause less damage to the land. “We will not do any more open-pit mining in Tosawihi,” says Huet. “We could, but we won’t.” Instead of undertaking the massive landscape-scale excavations required by an open-pit operation, Klondex's miners will work underground only, using large hand-held drills to work in drifts, or tunnels, whose diameter is just a bit larger than a tall man. The gold-laden dirt will then be dropped into slides that will transport it down the drift and into waiting trucks. “They’ll chase a vein of gold until it’s worked out, then backfill,” says Holley, who has signed on as the company’s senior community relations supervisor. Part of the job involves supervising a team of tribal cultural specialists, who observe mining activities and communicate with the miners to ensure ancient sites and artifacts remain unharmed. “The approach Klondex seems to be taking is much more responsible and progressive than we normally see,” says Jamie Kneen, communications and outreach coordinator of MiningWatch Canada. He stopped short of endorsing the project, which he said would be impossible to do without knowing many more details. 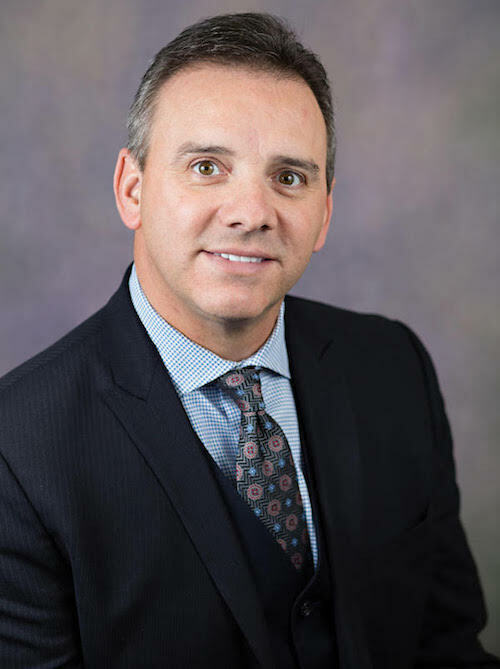 However, according to Kneen, the investment Klondex has made in working with the community indicates that the company is serious about its concerns for Western Shoshone culture. Before Holley agreed to take the job with Klondex, he asked Sope and other elders for permission to do so. Holley comes from generations of activists who have fought to safeguard Tosawihi as a critical aspect of a heritage that, like other indigenous cultures, finds its meaning in the land. Holley says that the Western Shoshone have always wanted to work cooperatively with a mining company in Tosawihi—to communicate effectively with miners so they could do their work with respect for the land. Holley sees the new relationship as an expression of tribal sovereignty. “We know we can’t stop the mining altogether because the site is not on a reservation,” Holley says. “But we’ve always had to go in with our fists up, as it were, fighting every inch of the way for what should be a given under federal law.” Because of the BLM’s poor track record of protecting irreplaceable cultural resources, this time, the Western Shoshones are going their own way with a company that is willing to listen. *Correction: Reggie Sope is a medicine man from the Duck Valley Indian Reservation. Rolling Thunder would be impressed.